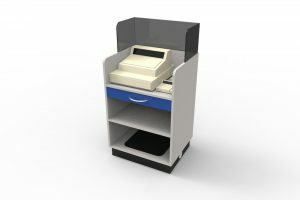 Libraries are welcoming the advantages of responsive counters that support a dynamic, open and friendly front of house. 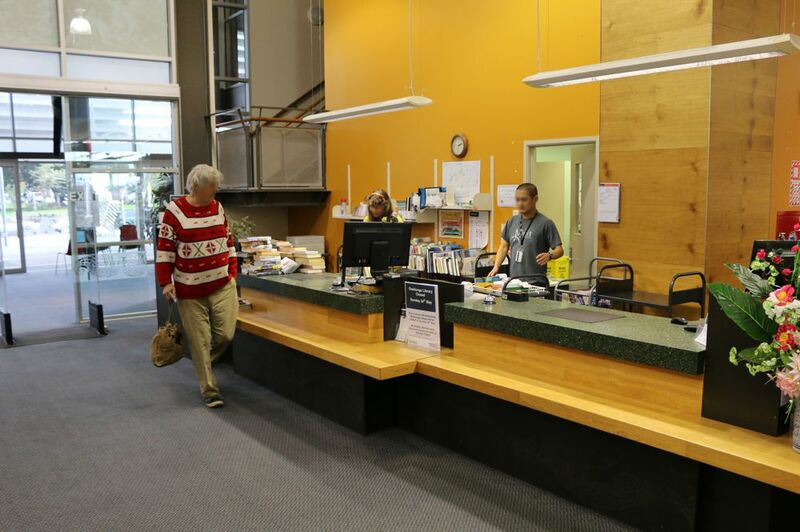 Onehunga Community Library’s counters were of a classic modernist style. Whilst certainly impressive, these counters did however present some limitations, predominantly around movement and interaction between staff and the customer. 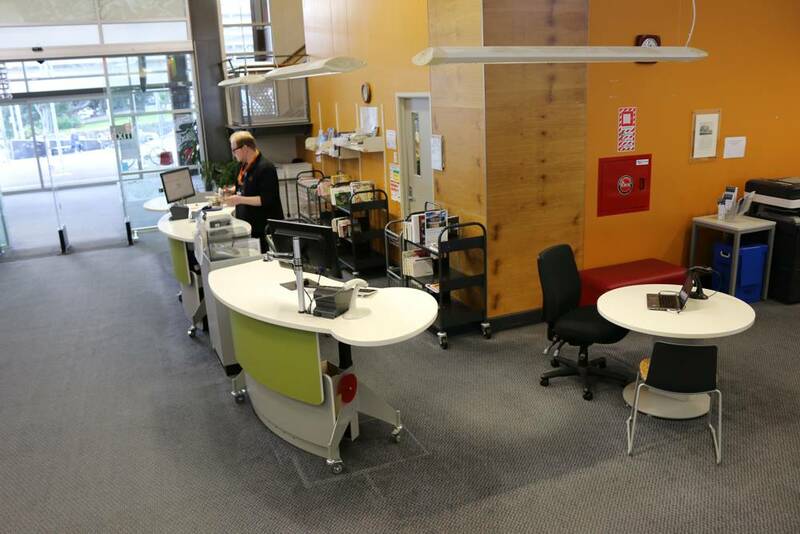 Onehunga Community Library’s counters before the new installation. 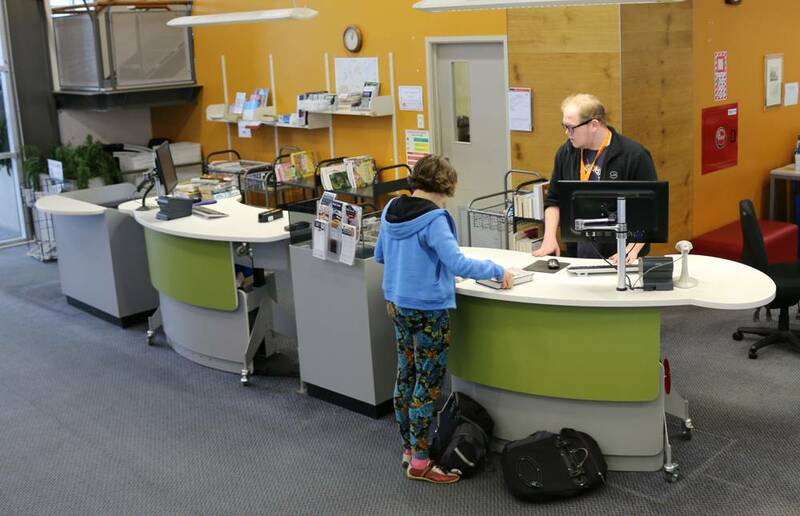 Service Delivery Manager for Auckland Council Libraries, Corrina Meikle, and her colleagues had observed the positive response of staff and customers to a more dynamic front of house at their recently opened Waiheke Library. Imraan Ali, Onehunga Community Library Manager, was supportive of this direction for his site. They approached Paul White, our Director of Design to explore the possibilities. Paul’s scheme deployed two all new GLO 2000 Single Oval counters designed specifically for the project. 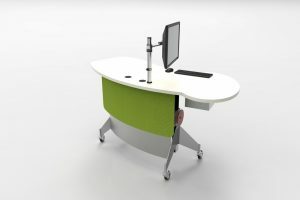 GLO 2000 Single Oval with its spacious desktop and inviting meeting oval. The GLOS were supported by our shared CASH / EFTPOS Module and our BOOKFLO BOOK RETURNS Module to the entry end. 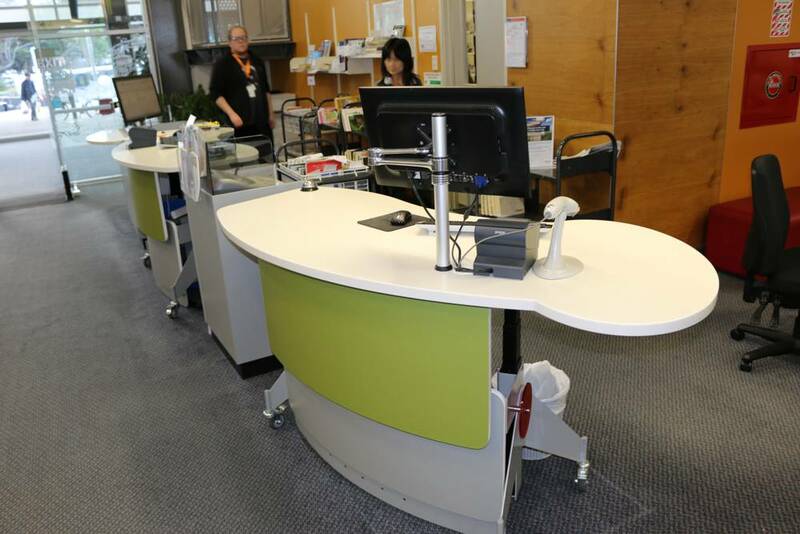 Onehunga Community Library’s new and dynamic counter configuration. 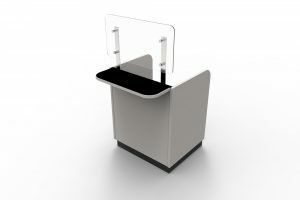 A simple round help desk completed the installation positioned in a quieter space beyond the counters. Our fixed height ROUND Help Desk positioned to the right.